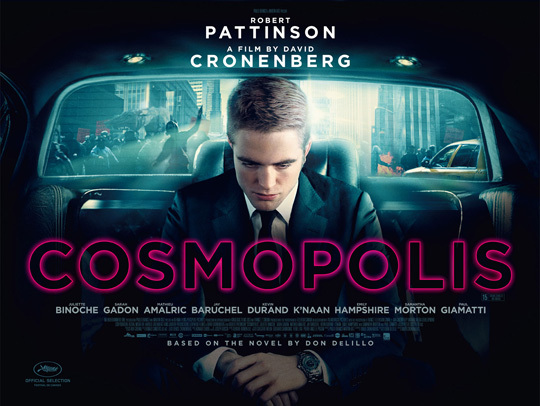 Win a Cosmopolis poster SIGNED by R-Pattz and D-Crone! You and I both know what it means when I end a blog post title with an exclamation mark: I’ve got something quite exciting to give away. 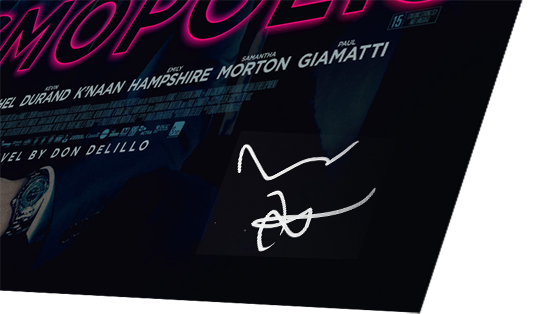 This time around, it’s the smouldering UK quad for Cosmopolis, hand-signed by certified demigods of cool Robert Pattinson and David Cronenberg. Tickets to see the pair introducing the film at the Curzon Mayfair the other night were going for £50 (!) so this opportunity to get your hands on AN ACTUAL OBJECT WHICH THEY HAVE TOUCHED AND LEFT THEIR MARK ON is not to be passed up. To be in with that all-important chance of winning, simply type “Paul Giamatti Eats Oranges” into the comment box below. I’ll pick a winner towards the end of the week.